SQL Azure With DBHawk - Datasparc Inc.
SQL Azure is the relational data store for the Azure platform. 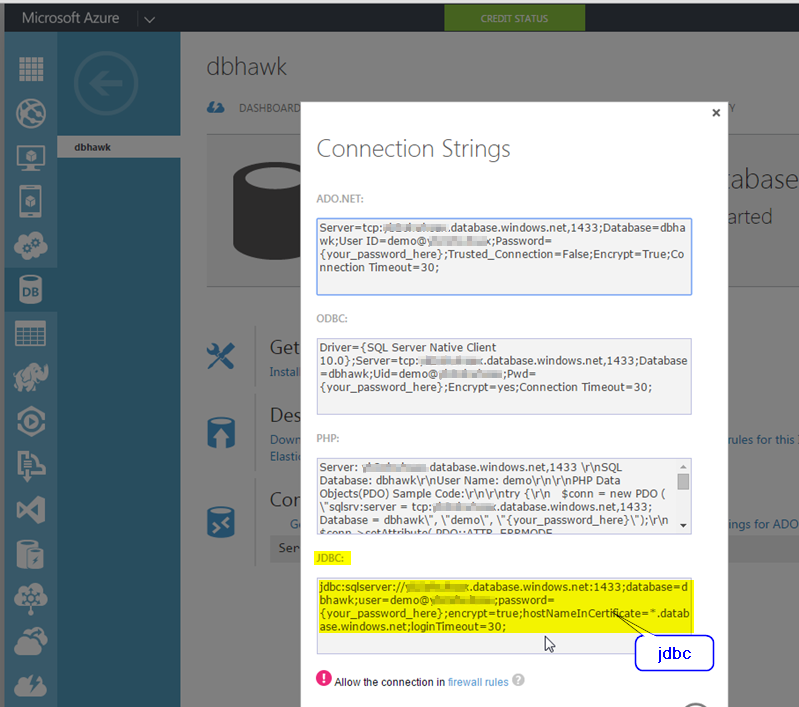 DBHawk allows to connect to Azure database via JDBC connection. Following tutorial shows how to connect to MS Azure database and install sample AdventureWorks database. 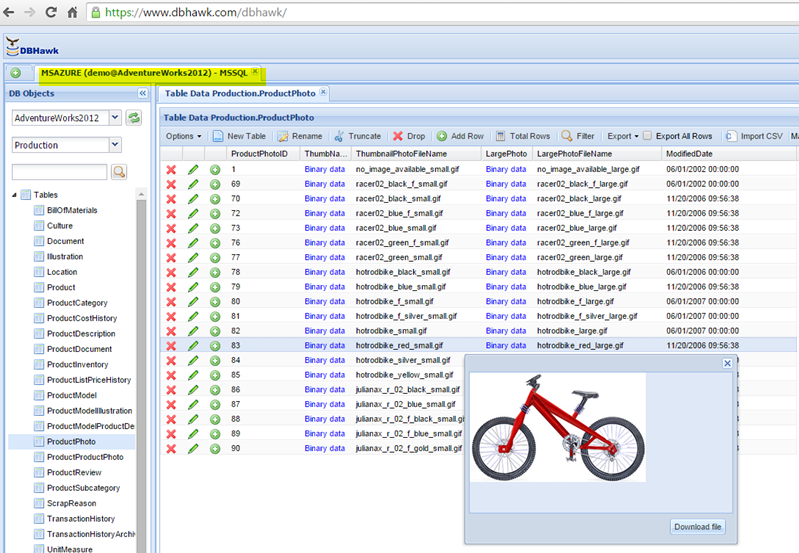 If you have not already done so, download and install DBHawk. 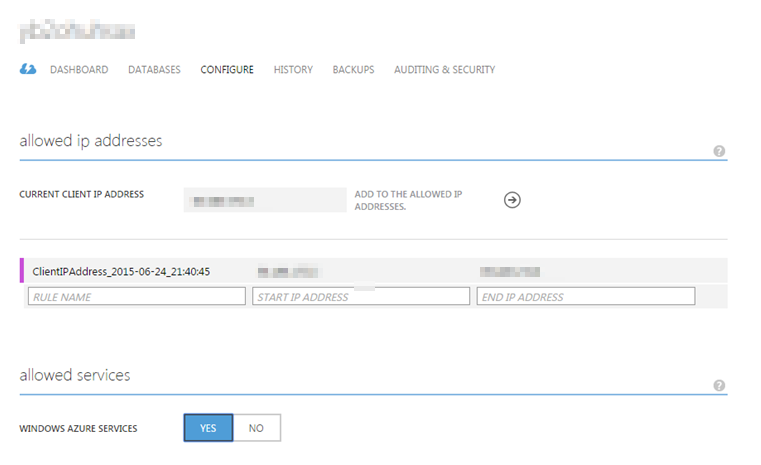 After database creation, ensure that you have configured your Azure Firewall to allow a connection to your Azure server from your IP address. 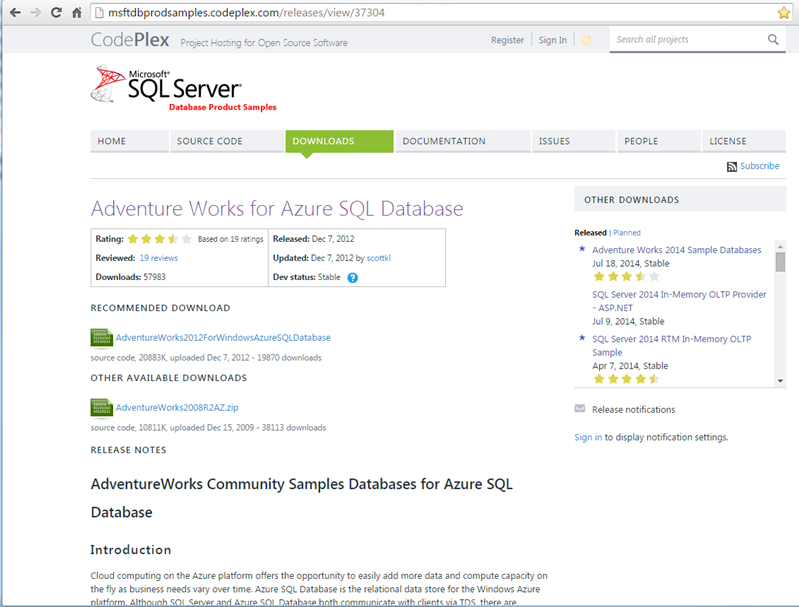 Follow http://msftdbprodsamples.codeplex.com/releases/view/37304 link to download and install Adventure Works for Azure SQL Database. 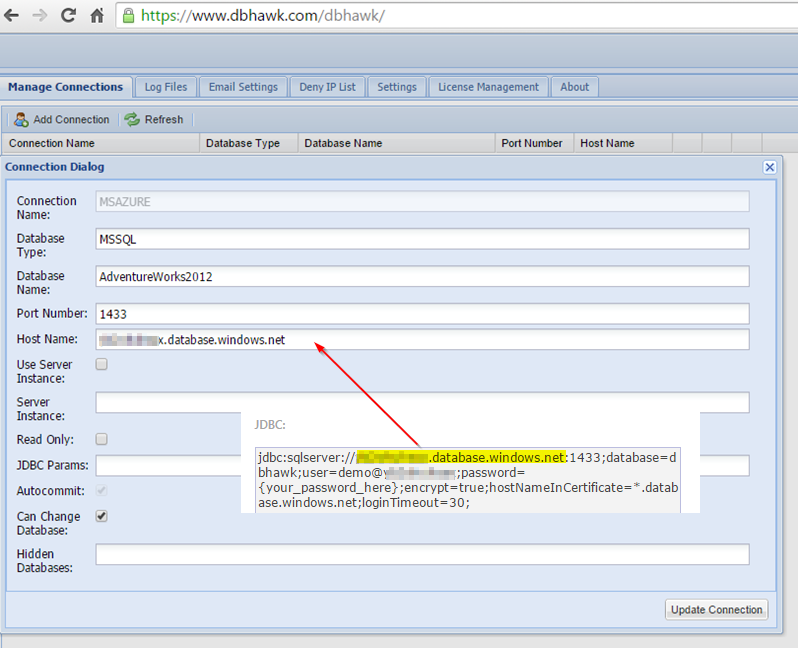 Login to DBHawk admin screen and go to Manage Connections Tab. Add a new connection for MS Azure SQL connection. 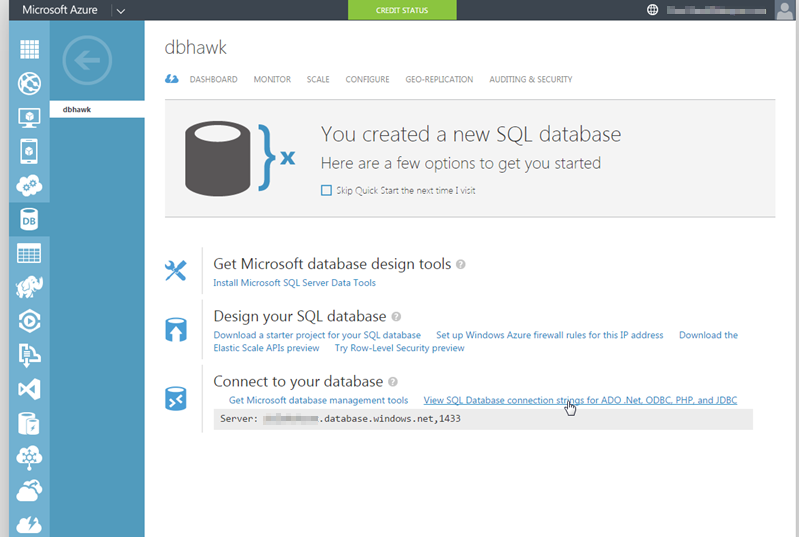 After DBHawk connection setup, you should be able to login MS Azure SQL database using DBHawk with username and password.